My blog is taking today off, but I’ll see you back here tomorrow. Sunday’s column comments on the geographical gaffes on Glendora’s location during the fire coverage, shares news about the Big Boy train’s impending move and visits the Scripps College ceramics show at the American Museum of Ceramic Art. I visited LACMA back on Jan. 4 and wrote an item about it the next week but haven’t had space to present it until now, what with one thing or another. Almost two weeks late, but still of interest, I hope. After all, LACMA is still there. Besides the public transit trip, I have items from many of our cities. Read Friday’s column for more. Pomona isn’t a pizza town; after the usual delivery suspects, and a Round Table, about as exotic as it gets is Pizza Loca. 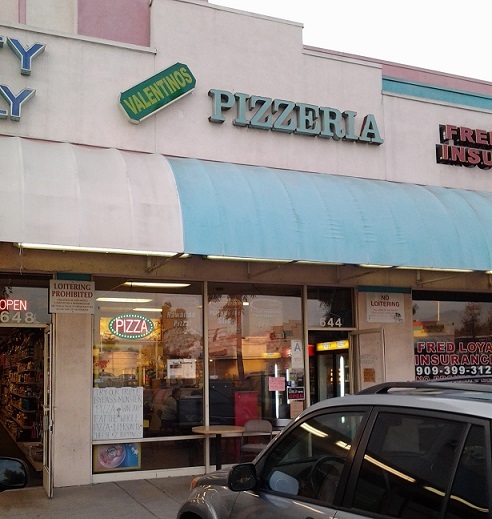 Valentino’s, a hole in the wall spot in a slightly sketchy shopping center at Towne and Arrow, is well-regarded among locals, so when some Pomona friends and I wanted a pizza delivery, I suggested Valentino’s. Anything for a blog post. 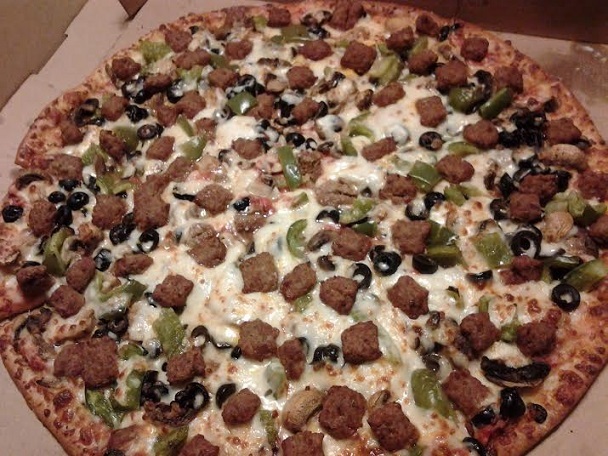 We got two customized extra-large pizzas ($15.50 for three toppings, $17 for four items), one with extra-thin crust, recommended by Yelp commenters. The chefs can’t really do extra-thin if you get more than two toppings, but they tried. Delivery took a while, but the driver was apologetic and blamed staffing issues on a busy Friday. The pizzas had crisp crust, lots of cheese, chunks of sausage, fresh mushrooms. (One had jalapenos and olives, neither of which was my idea.) Our reactions ranged from mildly impressed (“This is pretty good”) to mildly unimpressed (“It’s not slaying me”). The menu also has a few sandwiches, buffalo wings, salads and calzones. But it’s mostly pizza. I returned for an early dinner last Sunday. They have a deal, two slices of pizza and a can of soda for $4.99 plus tax, which I’ll try another time. 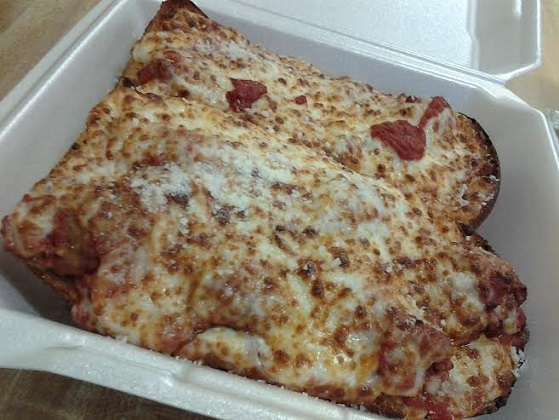 I got a meatball sandwich ($7, bottom), which arrived open-faced, covered in cheese and looking like a Stouffer’s french bread pizza — but better, and with meatballs. I ate the whole thing, later wishing I’d saved half for lunch the next day. Valentino’s has only five small tables with folding metal chairs, but it has a downscale charm, and the food’s pretty good. I’ll just get the two-slice special, thanks. Monday’s Upland City Council meeting was remarkably unruly, but don’t blame the council. Nineteen speakers trooped to the lectern to discuss homelessness and the city’s budget. And some shouted comments from their seats. Wednesday’s column describes the scene. 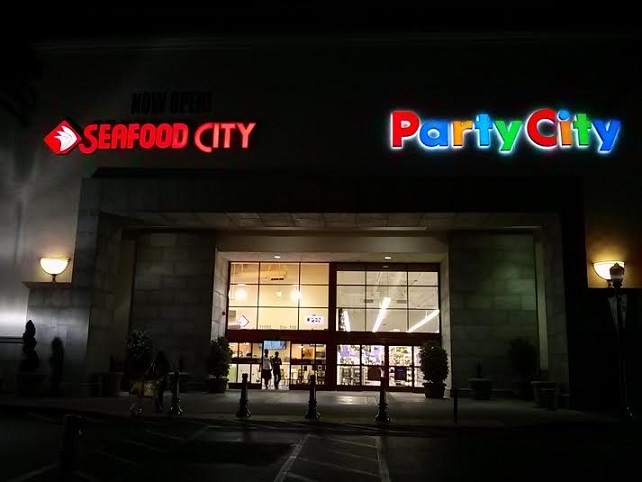 You could create a whole new geography for the Inland Valley by simply compiling the names of our “commercial” cities: shops such as Shoe City, HomeTown Buffet, Movie Island, etc. Above, reader Andy Sze found two such cities are neighbors in what’s otherwise known as Rancho Cucamonga. Chino’s Post Office, 5375 Walnut Ave., is a grabber. I like the decorative pillars, which link horizontally toward the top. Very mod. 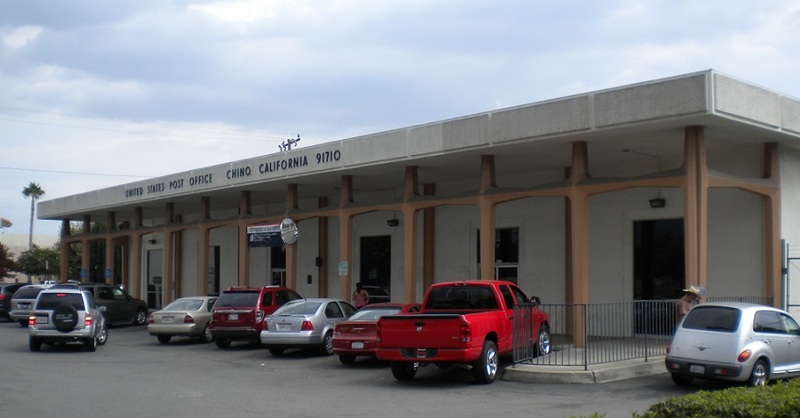 The facade sign that reads “United States Post Office, Chino California 91710” is cool too. 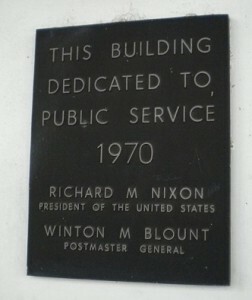 The facility opened in 1970. It says so right on this plaque by the entrance. I took a peek at the interior and it was drab, although the air conditioning was vigorous. I don’t mean to seem to be all about numbers, but when you’ve let your unread books pile up, as I’ve done, measuring your progress takes a higher priority than it would otherwise. 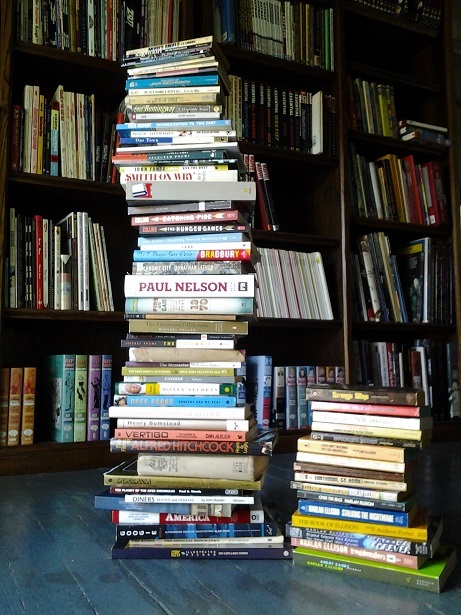 For this photo, I piled up the books I read in 2013. Since I began reading intensively again, I’ve read 75 in 2013, 80 in 2012, 60 in 2011, 52 in 2010 and 58 in 2009. Hey, that’s five years! Five years and 325 books. No sense in stopping now, so I’m going to keep reading. Authors most represented in 2013: two each by Suzanne Collins, Nick Hornby and Jonathan Lethem; three by Dave Barry; and, er, 16 by Harlan Ellison. (Or 15. “Ellison Wonderland” and “Earthman, Go Home” are the same book with different introductions. I count them as one.) Last year, this author list was longer, with multiple authors in the two-, three- and four-book list. I guess this means, Ellison aside, that a lot of my reading was one-offs. How did I not read any Mark Twain for two straight years?! Definitely I’ll read “A Tramp Abroad” this year. Of course, last year in this space I said I’d be starting it “any day now.” I won’t make that promise, but I will read it. Sunday’s column is about my reading from last year. Below is a list of every title. 53. “The Book of Ellison,” Andrew Porter, ed. 73. ”Everything is an Afterthought: The Life and Writings of Paul Nelson,” Kevin Avery, ed. 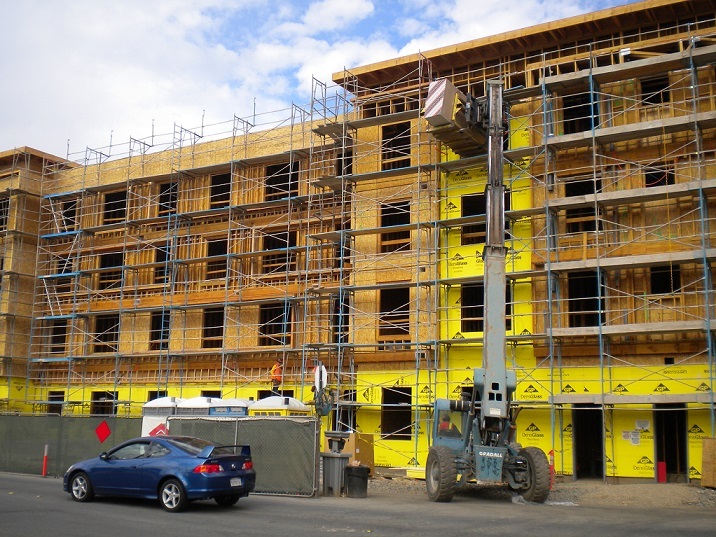 Above, the Daumier apartments under construction in December. 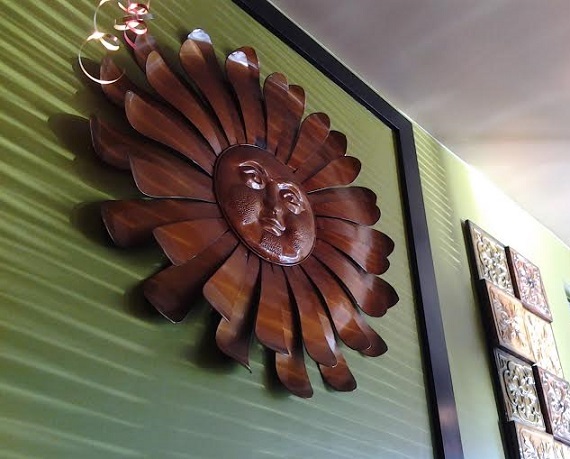 Elvira’s Mexican Grill, 373 E. Foothill Blvd. (at 4th), Upland; open daily for breakfast, lunch and dinner but closes at 6 p.m. on Sundays. 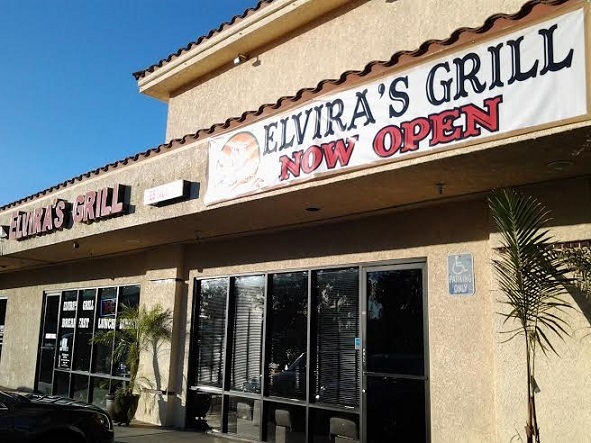 Elvira’s opened early in 2013 in a strip mall in Upland and has received strong ratings online. Twitter follower Original Pechanga (!) also advised me to check it out and recommended the flan. So, in the area for lunch recently, I dropped in. It’s a sit-down place, everything new and tidy, with neat touches in the decor. The menu notes that they make their chile rellenos and tamales daily. Accordingly, I got the No. 3 combo ($9.49, above), with a chicken tamale, cheese enchilada, rice and beans. Excellent, and I liked the green salsa on the tamale. The complimentary chips and salsa were fresh and delicious. Only after I left did I remember the flan. Well, a repeat visit was not exactly an unpleasant prospect. A couple of weeks later, I returned for another lunch. This time I got the No. 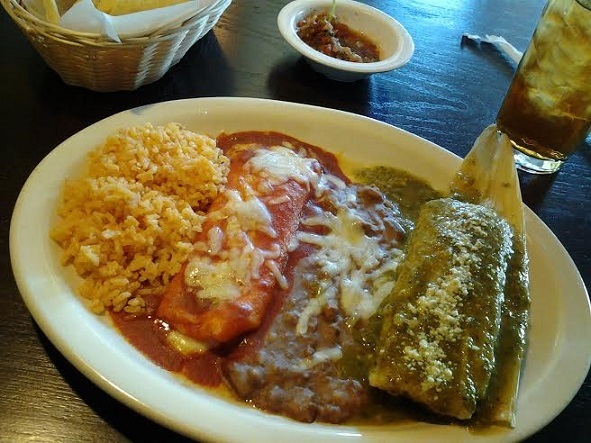 2 combo ($9.49), with a chile relleno, cheese tamale, rice and beans. Also very good. The chile relleno was light despite being fried. 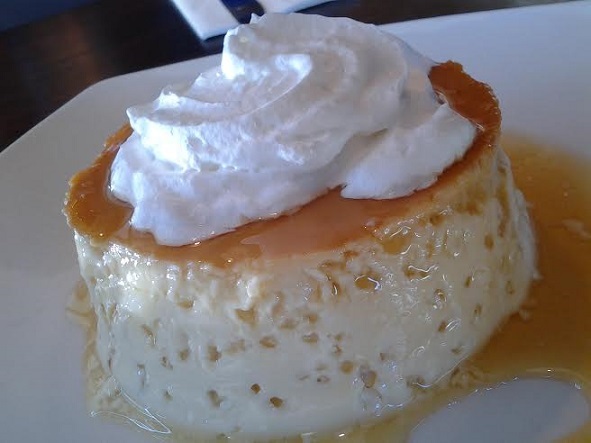 At this point I didn’t really need the flan ($4.59, below), but I got it anyway. Served on a plate, the flan was a disc an inch high, practically the dimensions of a quarter pounder, firm and creamy, whipped cream on top. It would be better for two or three to share, but I’m not ashamed to say I finished it solo. Well, maybe a little ashamed. It’s a family run restaurant, named, because you are no doubt dying to know this, for the family matriarch rather than for the Mistress of the Dark. Many of the recipes are hers. Based on the results, she’s now my favorite Elvira. And a tip of the sombrero to Original Pechanga for the advice.